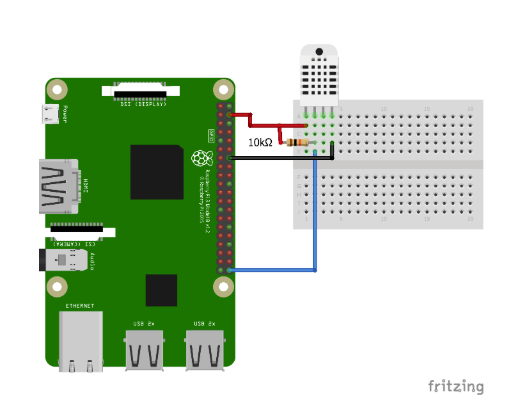 Learn how to graph temperature values with the DHT22 temperature sensor using matplotlib on Raspberry Pi. 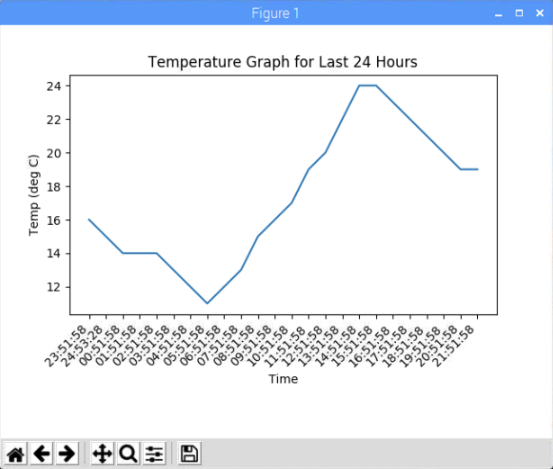 In this article, you are going to learn how to graph the temperature values with respect to time using the matplotlib library. We will use the DHT22 temperature sensor to read temperature values and will store the temperature and time in a csv file. The csv file will contain the data of all the previous hours and a new value will be added each hour. Then, we will plot a live graph, which will update right after each new value is added in the csv file. The plotted graph will show data for the last 24 hours. Make the connections of the DHT22 with the Raspberry Pi described in the table below. Circuit Diagram of RPi and DHT22. 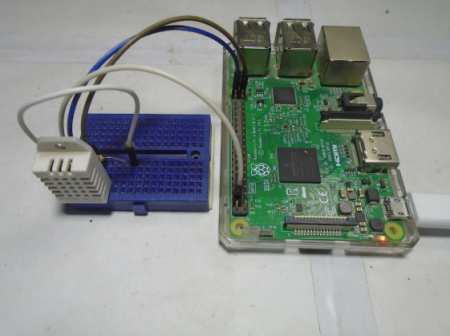 Connections between the DHT22 and the Raspberry Pi. Adafruit_DHT library will help us in reading the temperature values from the Raspberry pi. Pyplot module from the matplotlib library will help us in plotting the graphs. Animation module from the matplotlib library will help us in drawing the live graphs. Datetime library will help us in getting the current time so that we can store the temperature with respect to time in the csv file. plt.figure() is used to create a figure object. Using the fig.add_subplot(1, 1, 1) command, create an axes object in the figure. Using this method gives users the advantage of easily handling multiple figures/axes without getting confused as to which one is currently active. Read the temp value from the DHT22 sensor and format these values up to 1 decimal point. Then, open the csv file in writable mode and save the time and temperature. Open the file in readable mode and read all the lines from the csv file. Then, read only last 24 lines and store the temperature and time separately. Clear the graph and map these values in the graph. Temperature is plotted on the y-axis and time is plotted on the x-axis. The last line acts to plot the live graphs. It calls the animate function after an hour. The temperature graph after 24 hours.